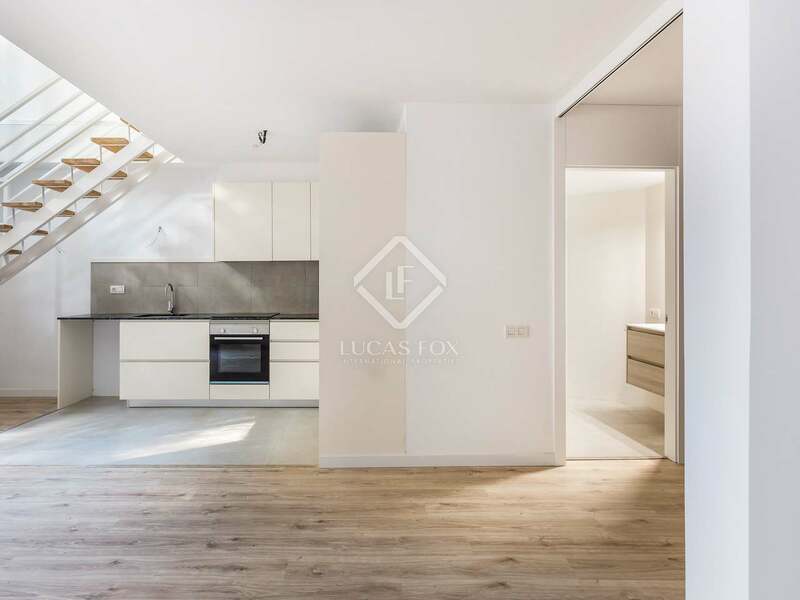 This bright and airy loft was completely renovated in 2018. 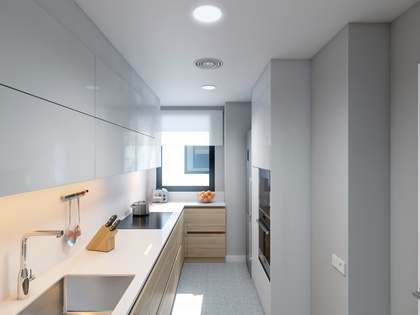 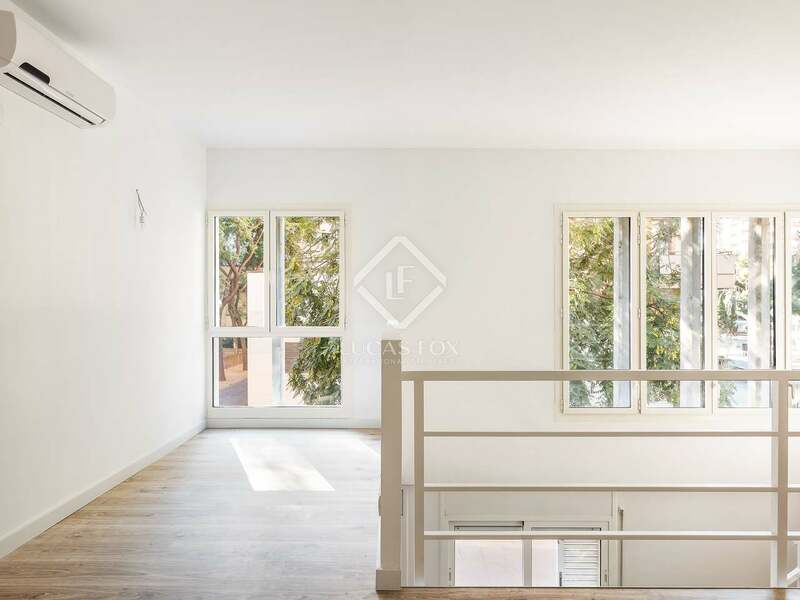 An open layout and built surface of 84m² provide a multifunctional and flexible space, ideal as a first residence, pied-à-terre, or as a long-term investment. 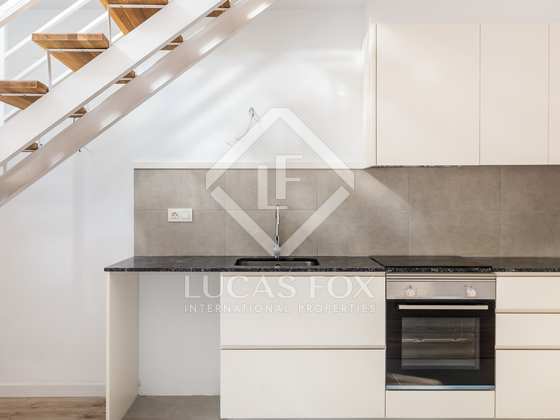 This loft consists of 2 floors, with a total built surface of 84m² and a usable surface of 75m². 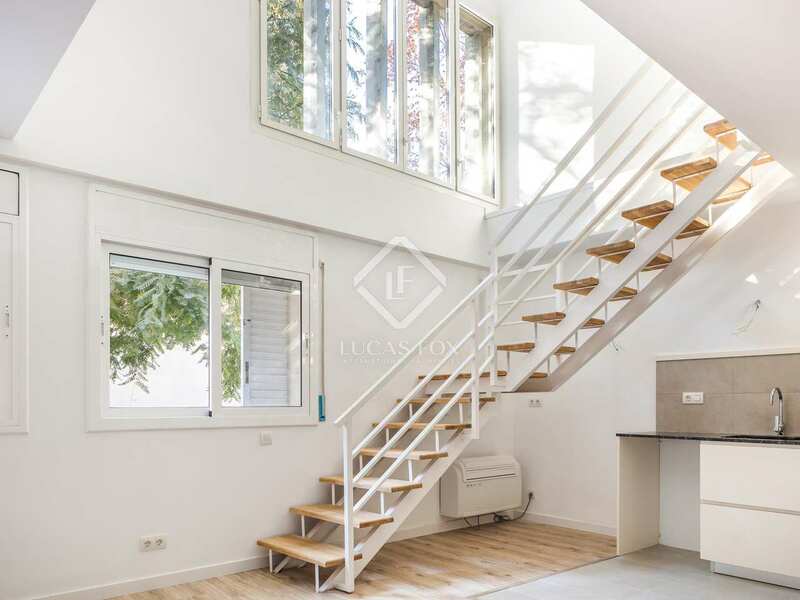 The lower floor consists of a foyer measuring 6.4m², which could easily be converted into a home office or potentially a minimalist guest bedroom. 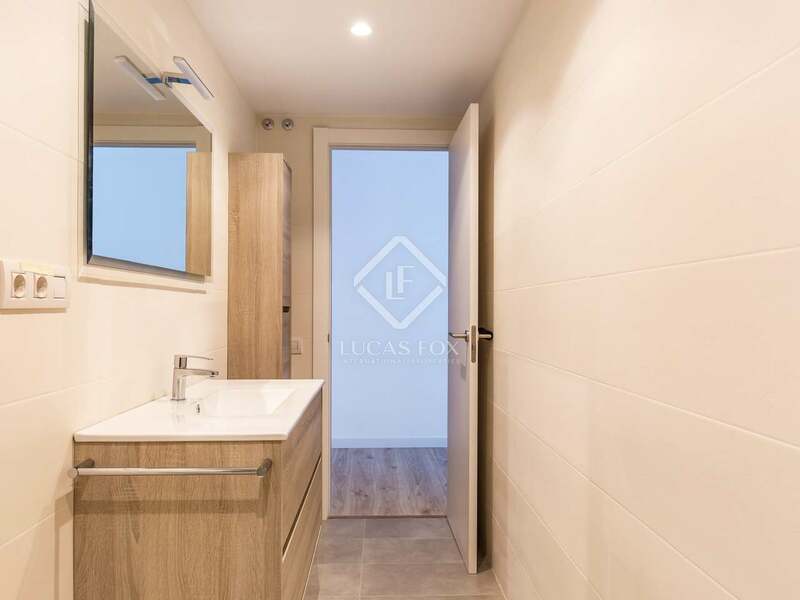 Additionally, there is one full bathroom measuring 5m², as well as an open-plan kitchen, dining, and living area that measures 34.4m². 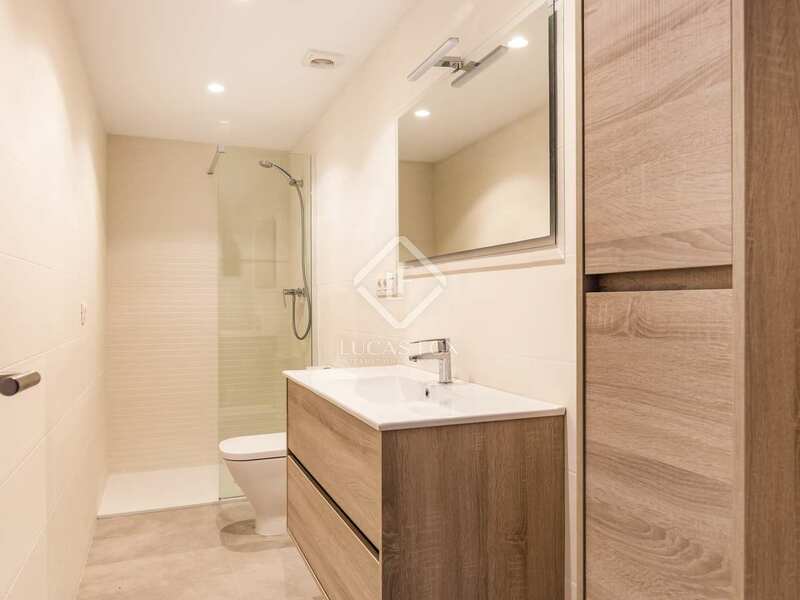 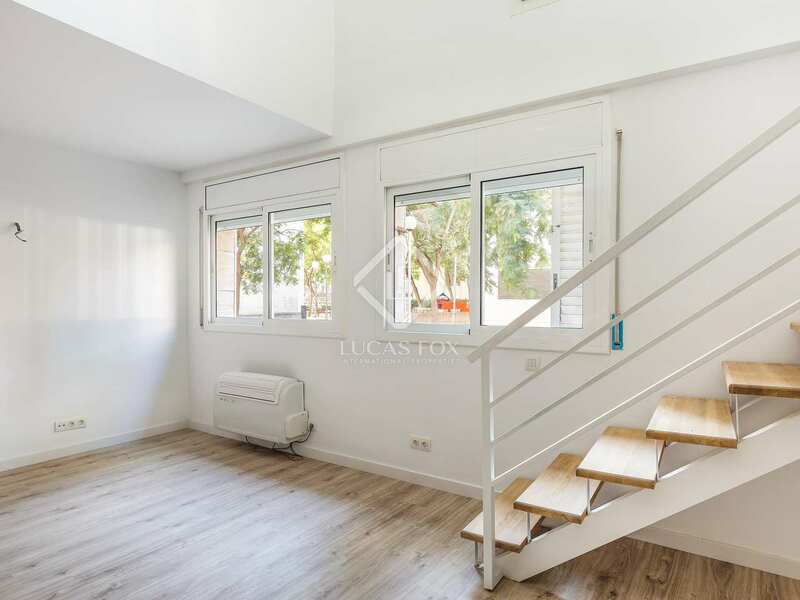 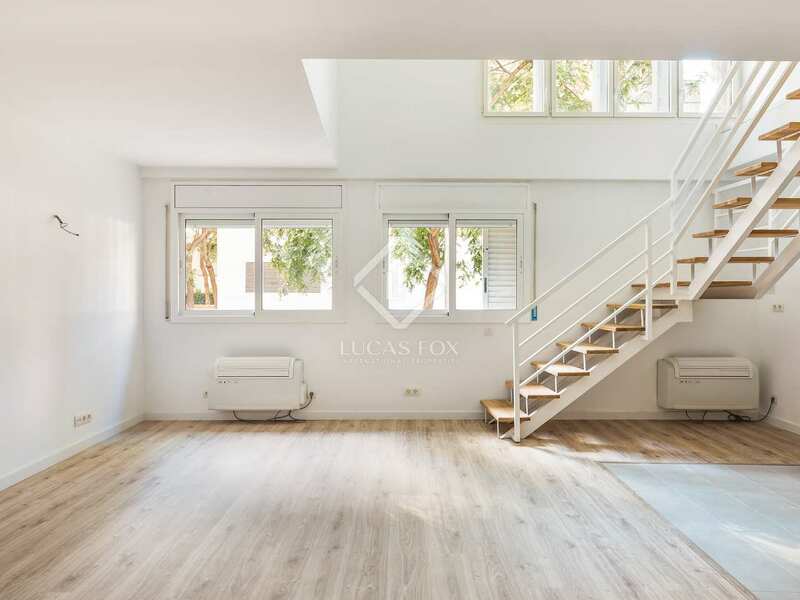 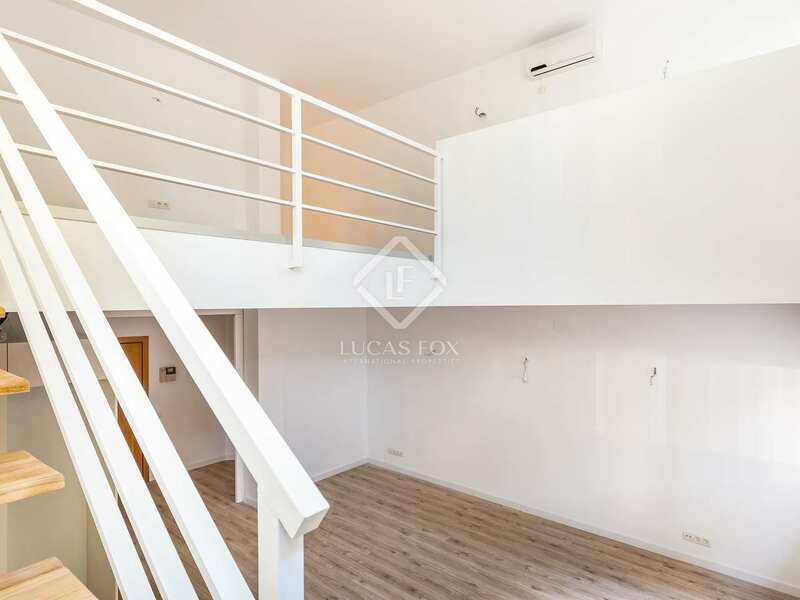 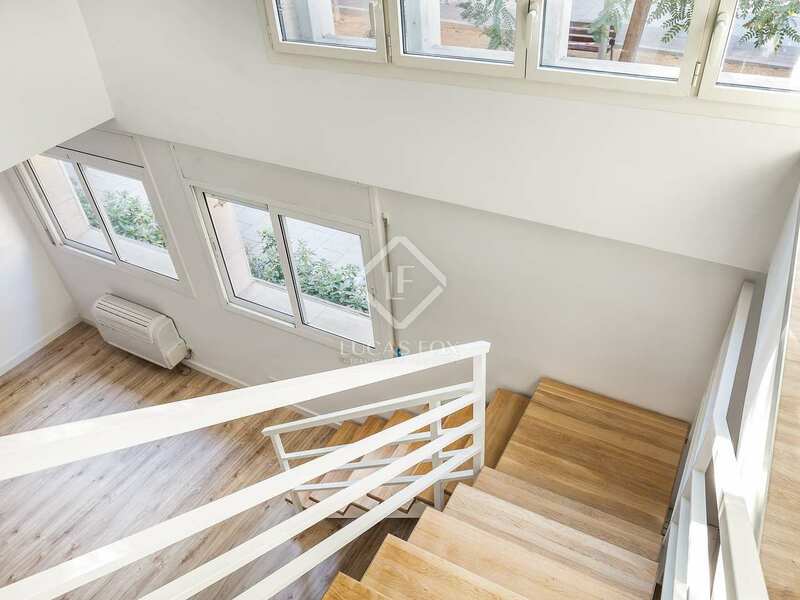 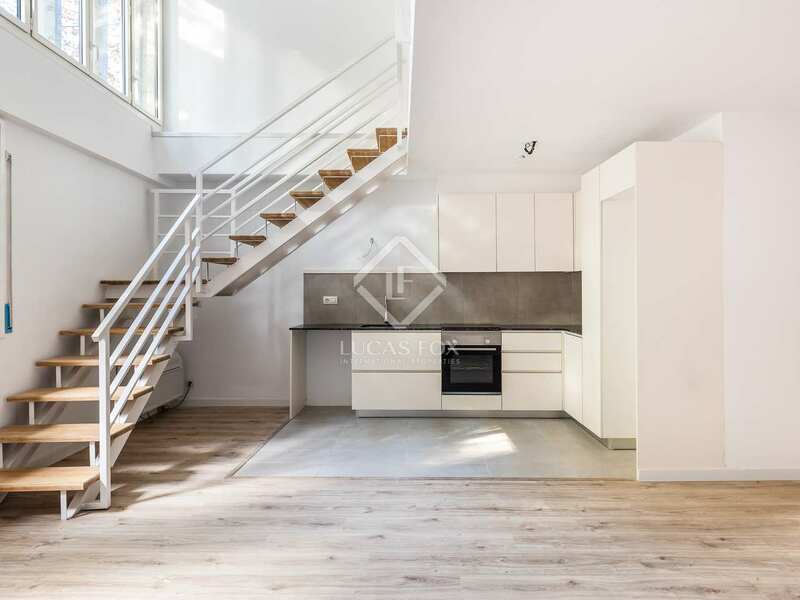 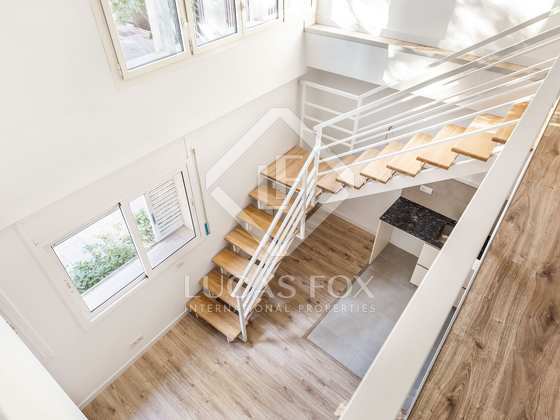 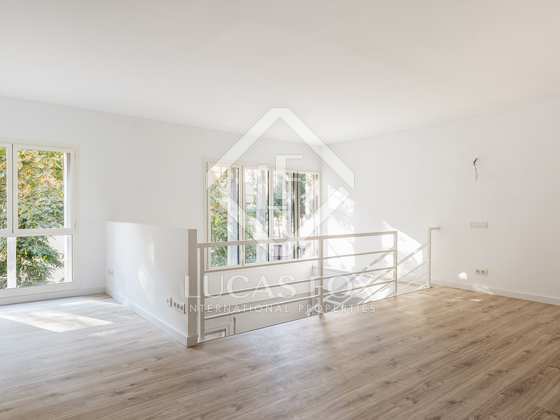 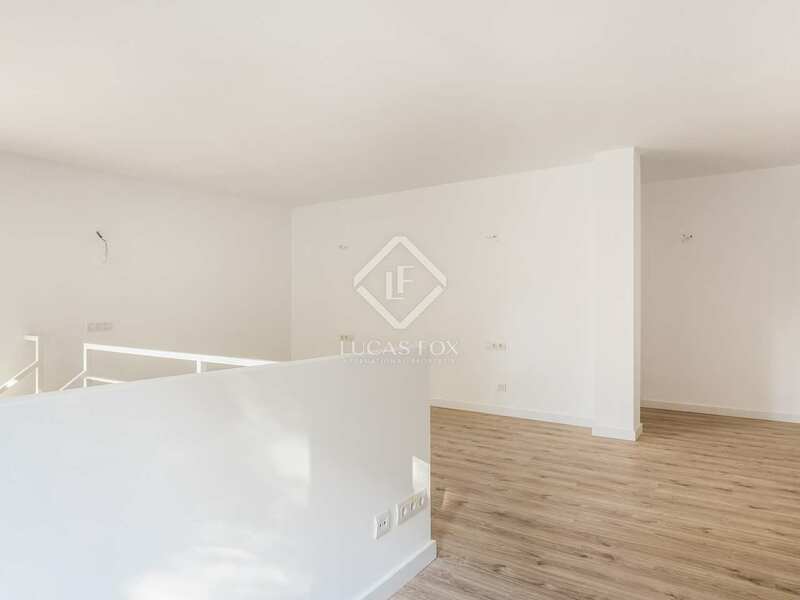 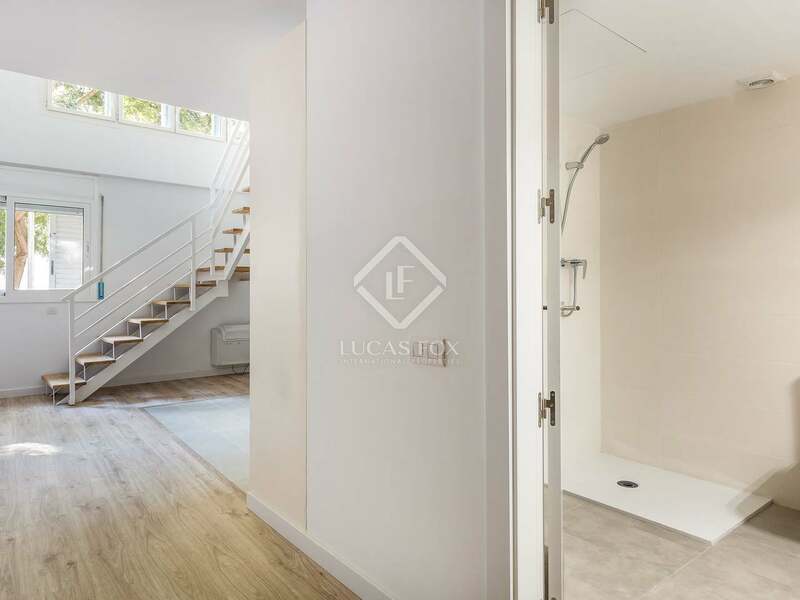 A modern staircase connects the lower floor to the mezzanine level, which contains a 25m² open concept double bedroom and study as well as a second full bathroom of 5m². 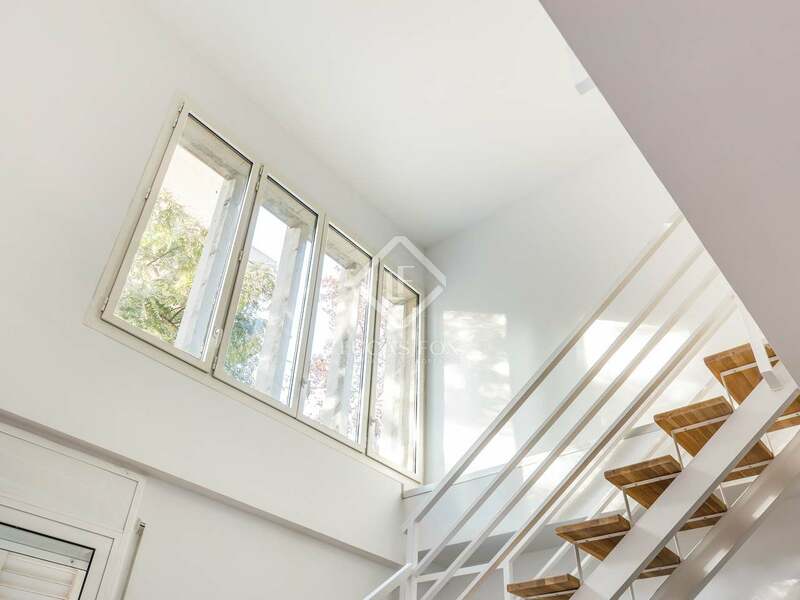 Spectacular windows provide views of the peaceful interior garden from both floors and allow plenty of natural light to fill the spaces. All installations in the property are electric, including a fully equipped kitchen with new appliances as well as heating and air conditioning. 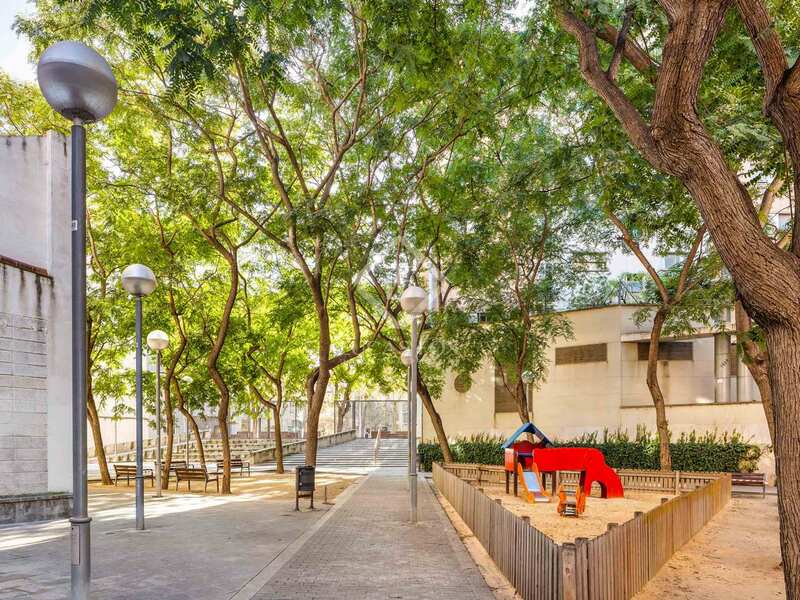 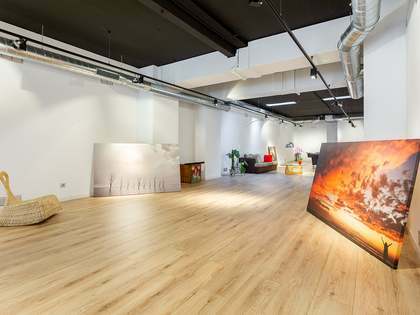 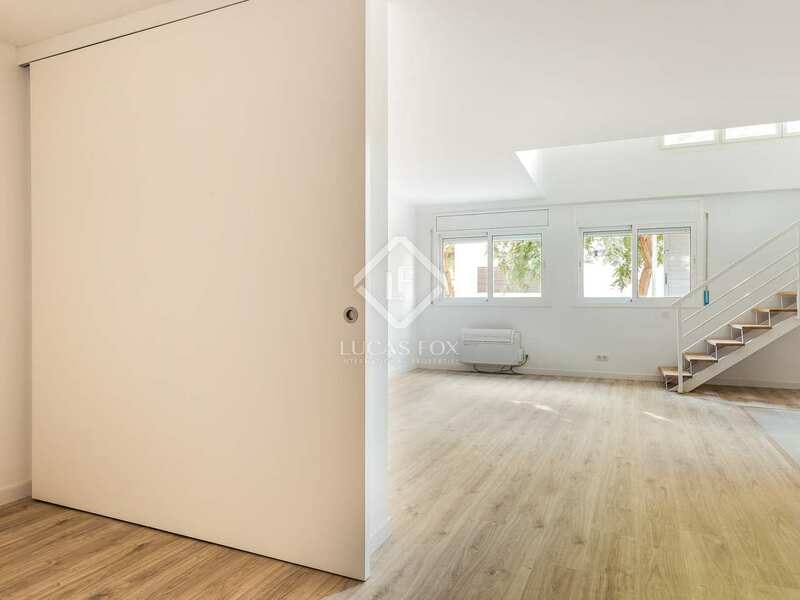 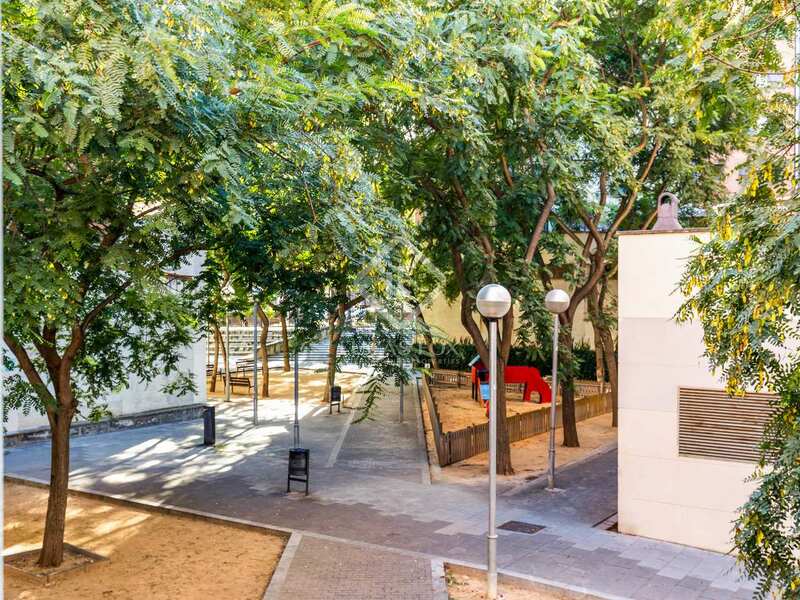 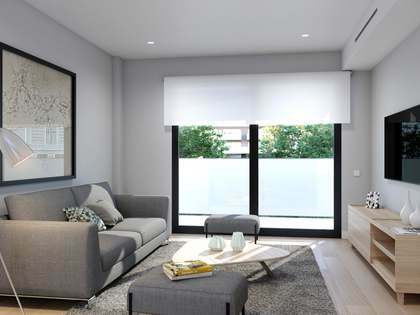 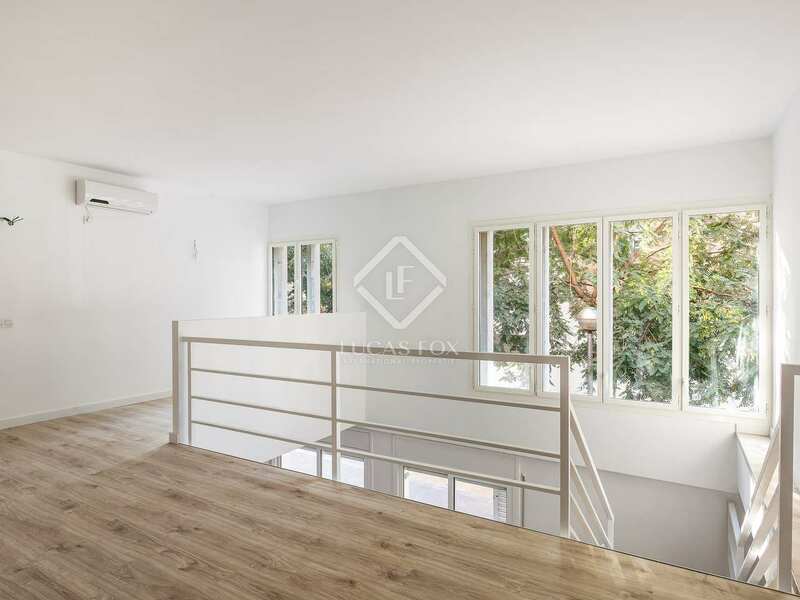 Located in the 22@ district of Poblenou, this property enjoys an advantageous location in an emerging neighborhood recognised as a hub for tech and innovation. 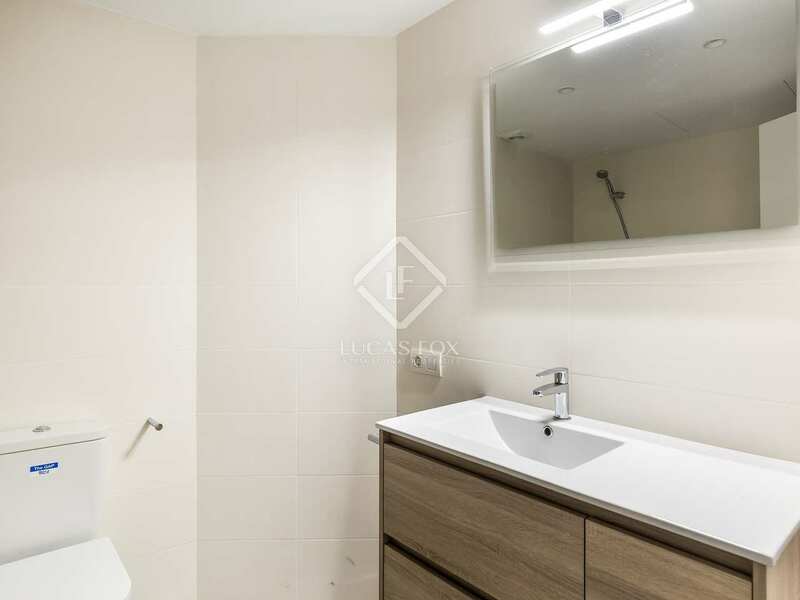 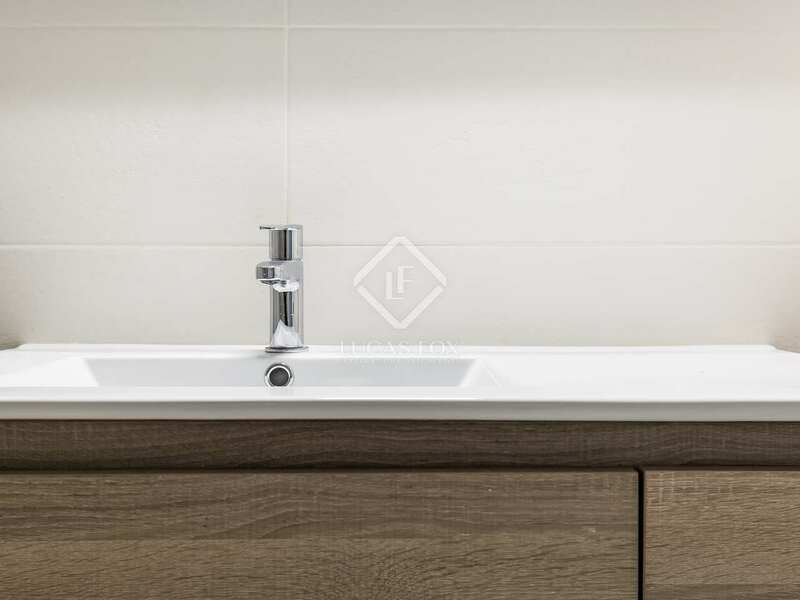 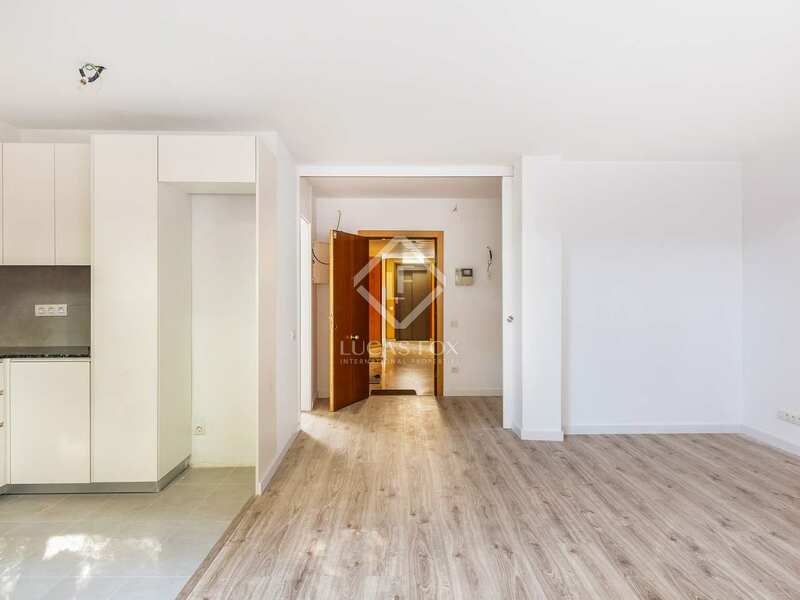 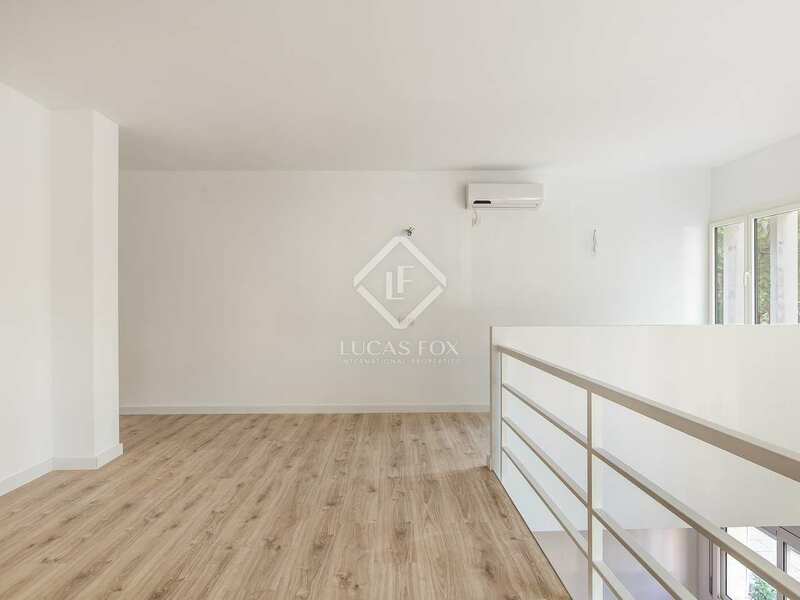 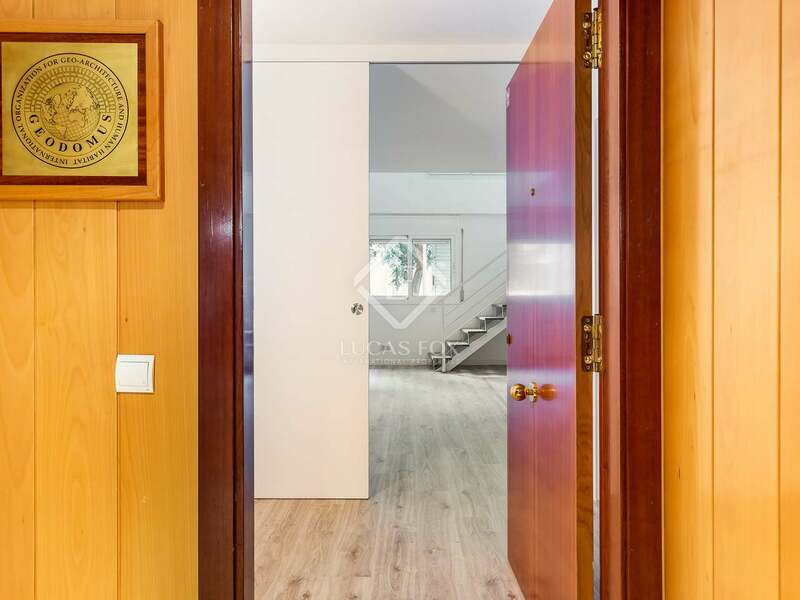 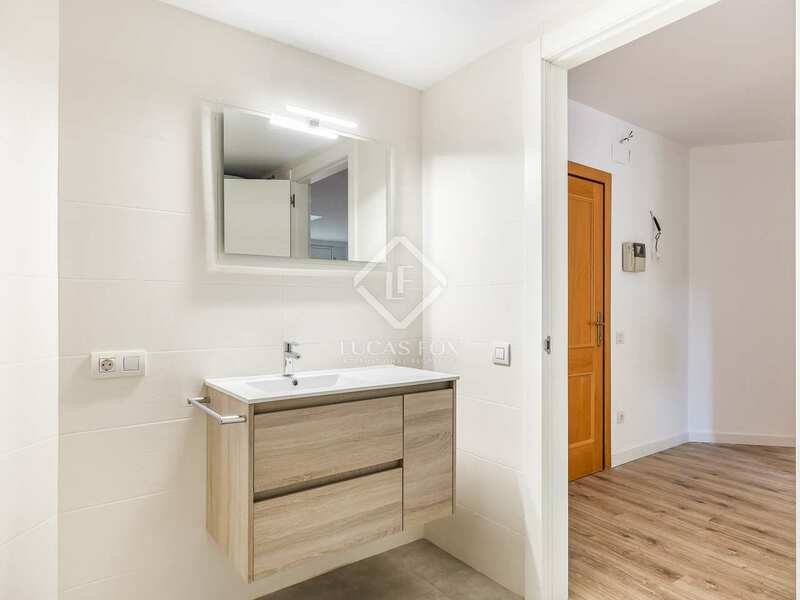 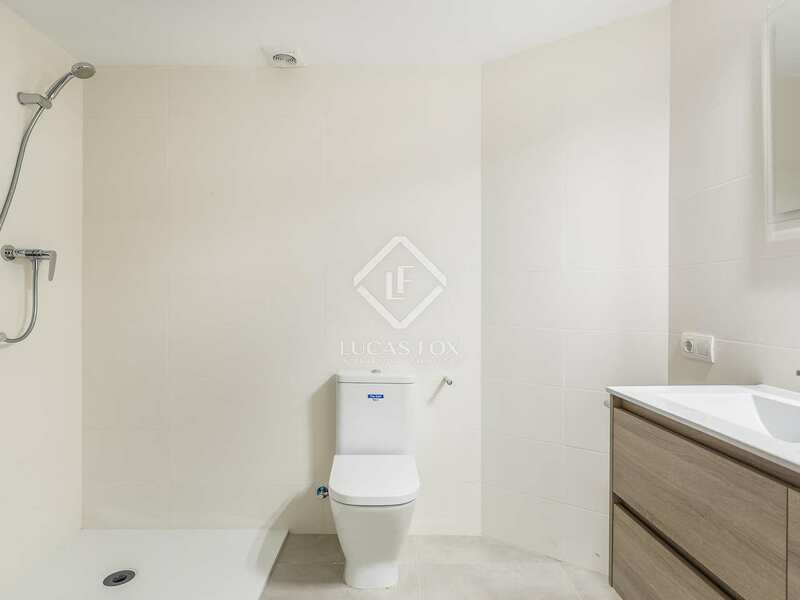 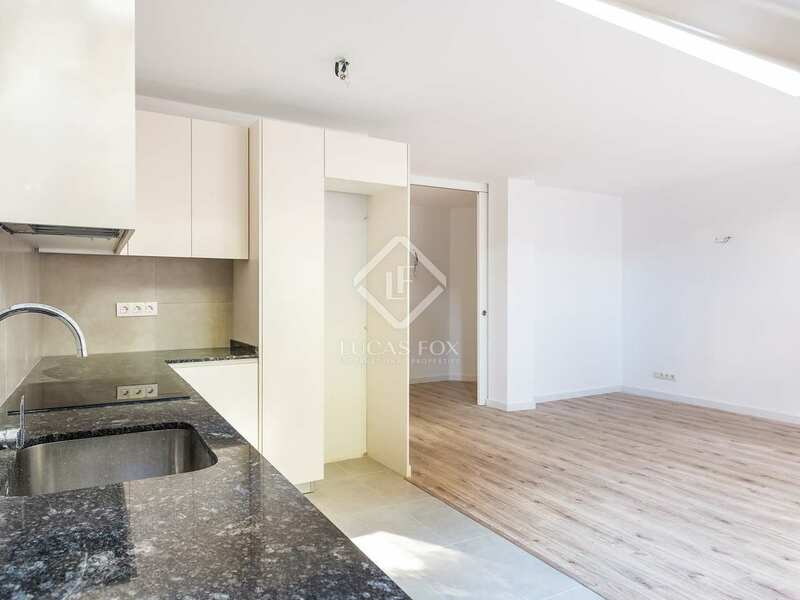 This property is just a few minutes walking from Ciutadella Park, and is well connected with both the L1 & L4 metro lines (Marina, Bogatell), as well as the Pujades, Pamplona, and Marina bus lines.